This handout photograph obtained courtesy of the Oregon Parks and Recreation (OPRD) and released June 7, 2012 shows a team of about a dozen staff and volunteers organized by the Oregon Department of Fish and Wildlife to remove marine organisms from the dock which landed on Agate Beach, Oregon. 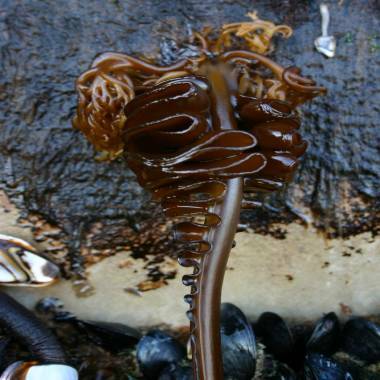 This photo, taken by the Oregon Parks and Recreation Department Thursday shows an invasive species commonly known as "wakame" attached to a dock float that washed up on Agate Beach Tuesday near Newport, Ore.
A check for any radiation from Japan's Fukushima nuclear plant came up negative, said Oregon Department of Parks and Recreation spokesman Chris Havel. The department is overseeing efforts to remove the dock but hasn't decided yet whether to demolish it on site or have it towed off. "You can't preplan for stuff like this," Havel told msnbc.com. A starfish native to Japan was found clutching to the structure, Havel said, adding that another concern is to keep out any nonnative species that might have hitched a ride on the dock. 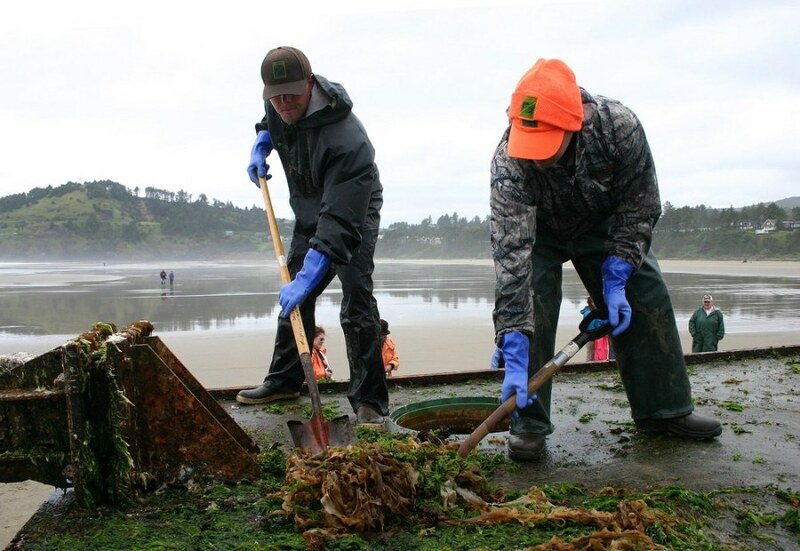 This handout photograph obtained courtesy of the Oregon Parks and Recreation (OPRD) and released on Thursday shows a team member of about a dozen staff and volunteers organized by the Oregon Department of Fish and Wildlife to remove marine organisms from the dock which landed on Agate Beach, Oregon, after drifting at sea following the March 11, 2011, earthquake and tsunami in Japan. 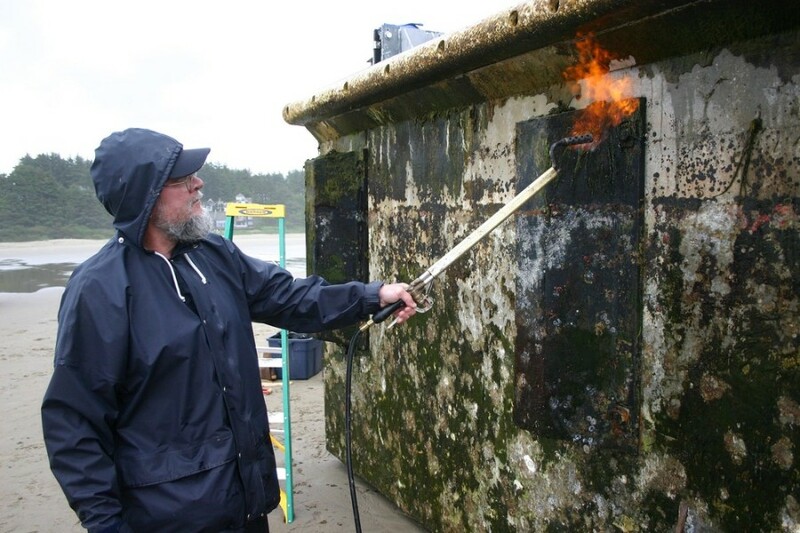 Workers with shovels, rakes and other tools first scraped the structure clean, then briefly used low-pressure torches to sterilize the dock. The material was bagged and hauled up the beach well above the high tide line to store it temporarily. 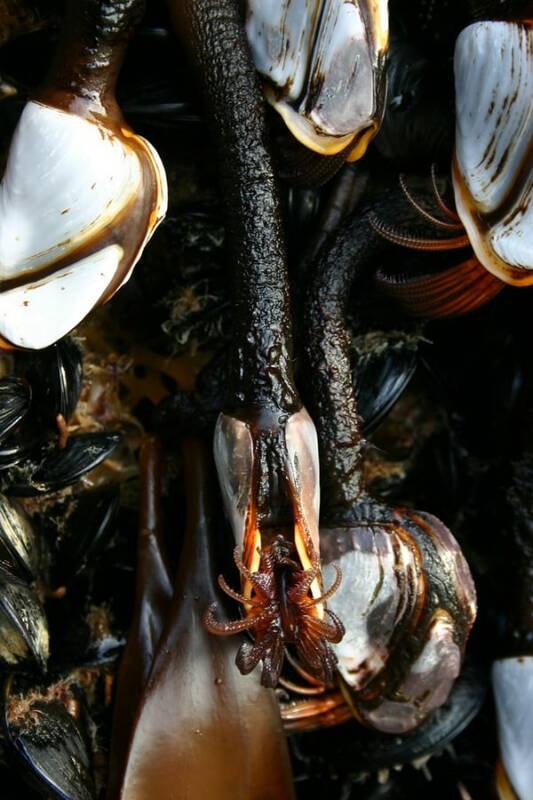 This photo, taken by the Oregon Park and Recreations Department Thursday, June 7, 2012, shows exotic mussels attached to the dock. When a large dock that broke away from a Japanese harbor after the tsunami and washed up on an Oregon beach, it brought along millions of organisms. NBC's Miguel Almaguer reports.